The Big Run Prizes Announced! 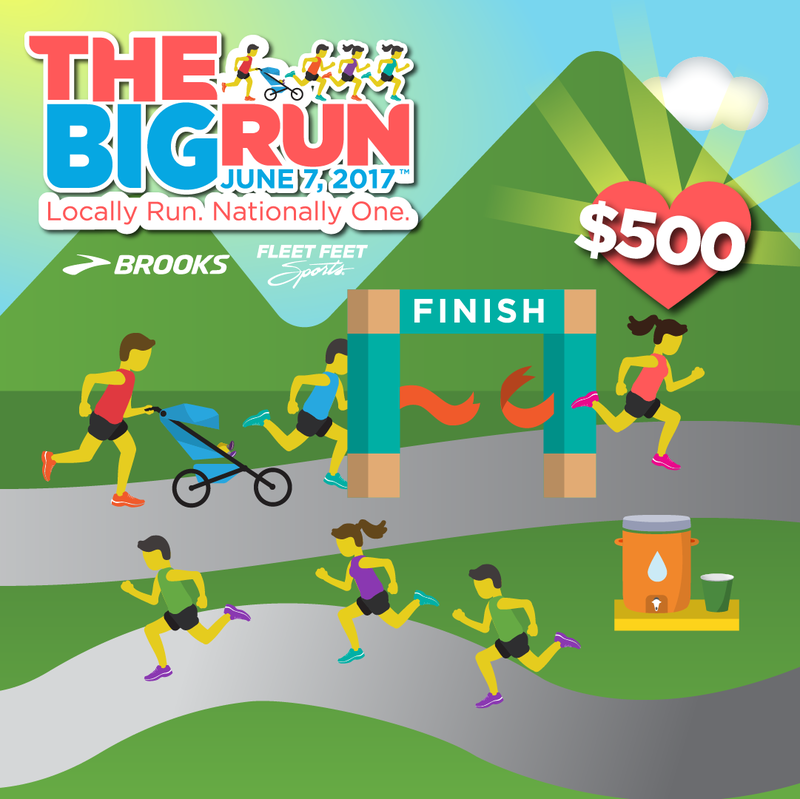 Home › Latest News › The Big Run Prizes Announced! Join us June 7th for The BIG RUN! It's not too late to get registered! The Big Run National level prizes have been announced! *The fastest female and male in the land will each receive $500. *The male and female who finish in the exact middle of all finishers in the country in their gender receive $500! *We'll enter each person who finishes at the most common time across the country into a drawing for $500! *Post a picture or video of the event to Instagram. *Use the hashtags #TheBigRun and #GlobalRunningDay. *The people with top two most-liked posts by June 8 at 10 a.m. E.S.T. will receive a $50 Fleet Feet Sports store card! *Come to The Big Run decked out in head-to-toe Brooks Running gear. *Be one of 10 participants spotted by a Brooks Guru. *Receive a $10 Fleet Feet Sports store card to redeem on any Brooks gear!